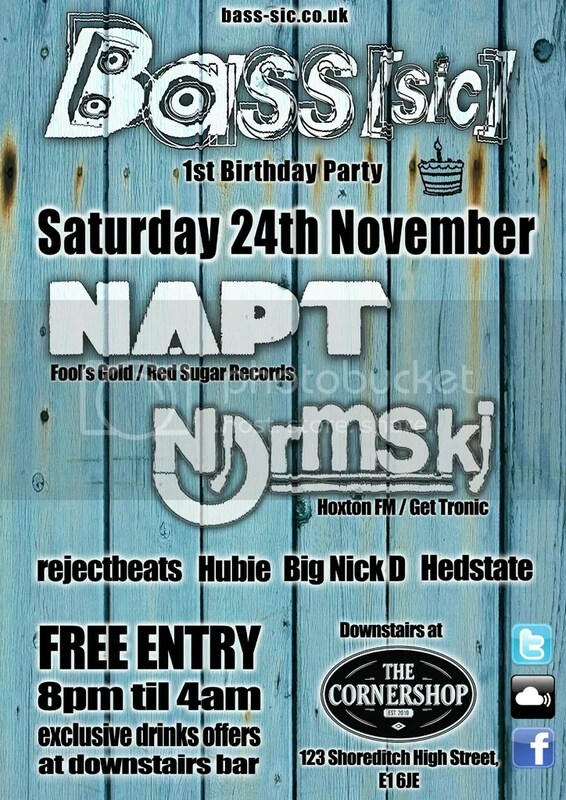 Posted on 21/11/2012, in Downloads, Events, Music and tagged bassmusic, basssic, birthday, cornershop, freedownload, freeparty, hedstate, hubiesounds, london, mixcloud, napt, normski, nsbradio, party, saturday, shoreditch. Bookmark the permalink. Leave a comment.